Beans beans beans. Can’t get enough beans. This is an incredibly lean meal, traditionally served for breakfast. 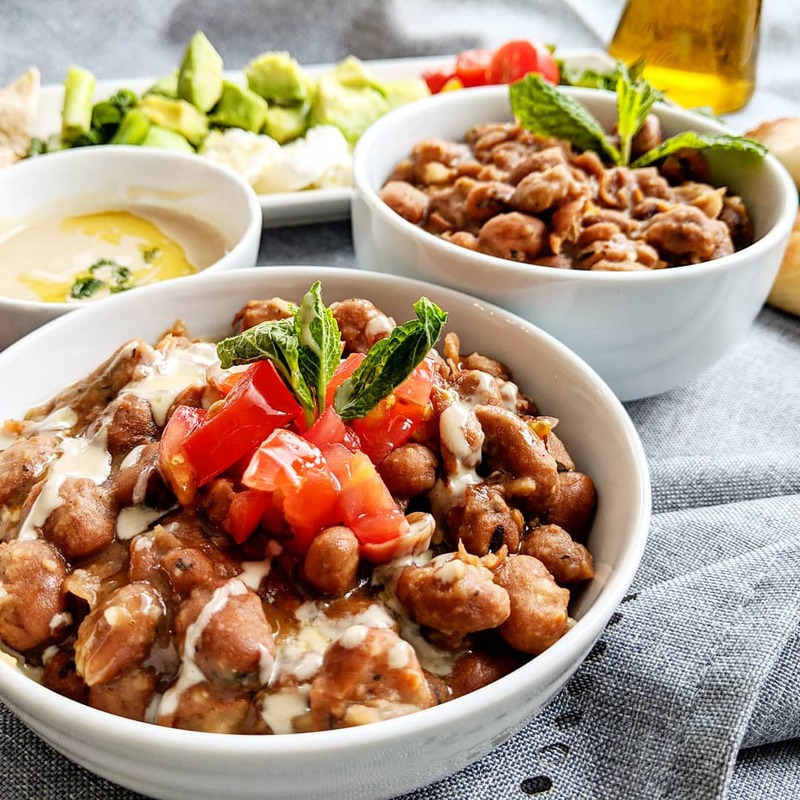 “Fool” is actually an Arabic word – and this recipe is derived from beans, a popular food in many dishes in Lebanon. “Fool” in Arabic means bean. It’s a bean. So with this fun twist, we now have Fool’s Breakfast! It’s a healthy and delicious way to kick of your day. And did I mention it’s quick and easy to make? In a pot, heat olive oil. Add crushed garlic. Cook for just under a minute. Add the can of beans with the liquid.You’ll want to crush them slightly. Depending on the texture you’d like, you can crush the beans a little more using a wooden spoon. Add the lemon juice, salt & pepper. Add tomatoes. Cook over medium heat for ten minutes, then allow to simmer for a few more minutes. Right before you turn off the heat, mix in the tahini. It gives it a wonderful flavour. Pour into bowls. You can drizzle some more olive oil on top and serve!